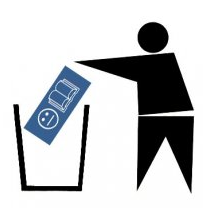 If you have any concerns whether your stuff is actually deleted (as opposed to being kept somewhere in the deep dungeons of Facbook's HQ) your best bet is to ask them using email: info@facebook.com. How to NOT use Facebook on 9GAG, because comments are only on Facebook? Won't sending them an email at info@facebook.com reactivate the Facebook profile I'm trying to permanently delete? And what about the Comment as: profile box below? Won't that just give them access via a different account? WTF? In the future I would like to commmunicate some other way be sides FaceBook. This is because everything is so personal. I have two accounts for some reason. I need to delete one of them. to meney problems & things deleated without my knowing. Thus you can safely leave the online global surveillance operation run by the CIA that Facebook is. Thankyou for giving me the oppurtunity yo use your page.It is just unfortunate that i don't use it. all photos of friends and comments. I have to many people contacting me on my Yahoo mail account spam is 100% out of control I get hundreds of spams a day. They contact me by telephone every day. I need peace and so I want out from FB and Yahoo mail account. How? My account has been deleted (well, will be in 14 days). Thanks for the help with this. I am otherwise busy.I can't make time. i really hope that if logged on months from now that the account will not be re-activated!!! i deleted my account in 2009 and it is still in the system today. so does this really work,>? the button delete my account not function, helpme. Doesn't becomes delete. It says to enter the pasword. And when the pasword is entered, the same page again comes out asking for pasword. I spend too much time. Asking them by email? How can you know they will tell you the truth? I have another fb account so I want to delete this one.